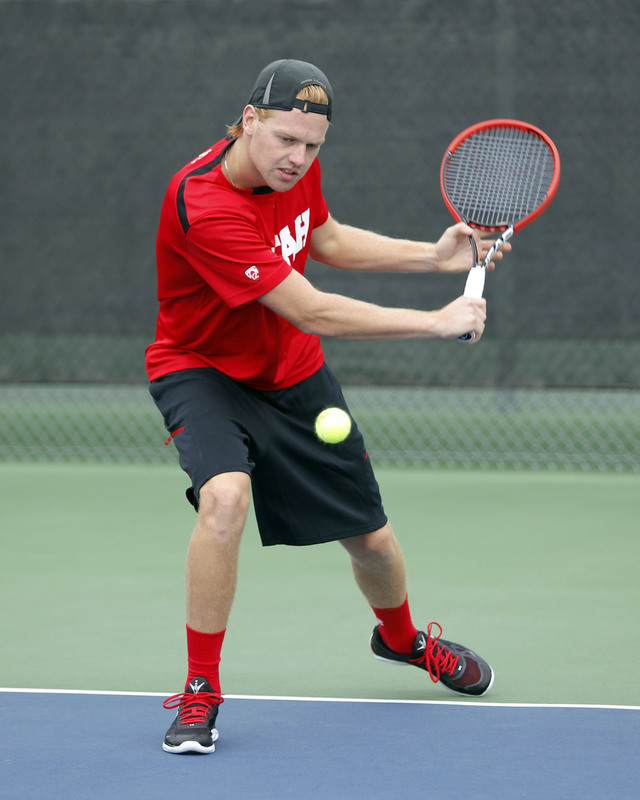 The ITA has released their first NCAA Division 1 team rankings for 2015 and Utah men’s tennis is ranked No. 59. The Pac-12 has seven of the eight teams ranked in the top 75, including No. 1 USC, No. 4 UCLA and No. 16 California. “It’s nice to be recognized by the ITA in the first team rankings of the year and I’m especially happy for the guys. They’ve worked their butts off in the fall,” said head coach Roeland Brateanu. Senior Cedric Willems, who had an outstanding fall season, ranks No. 4 in the ITA Mountain Region in singles. Senior Slim Hamza, who ranked No. 51 in the nation in the preseason ITA rankings, lost his national and regional rankings, because he missed the entire fall season due to a nagging knee injury. The Utes will begin their season on January 23rd against No. 55 Elon. Then, Utah will play No. 8 Georgia on the 24th or No. 63 Michigan State on the 25th. These matches are part of the ITA Division 1 Kick-Off Weekend and will be hosted by the University of Georgia in Athens, Ga.
Utah’s first home matches are on Saturday, January 31st at the Eccles Tennis Center. The Utes will face Montana State at 12 p.m. MT and Utah State at 5 p.m. MT. This entry was posted in PAC-12 / NCAA News and tagged Cedric Willems, ITA Rankings, Regional Rankings, Roeland Brateanu, Slim Hamza, Utah Utes. Bookmark the permalink.